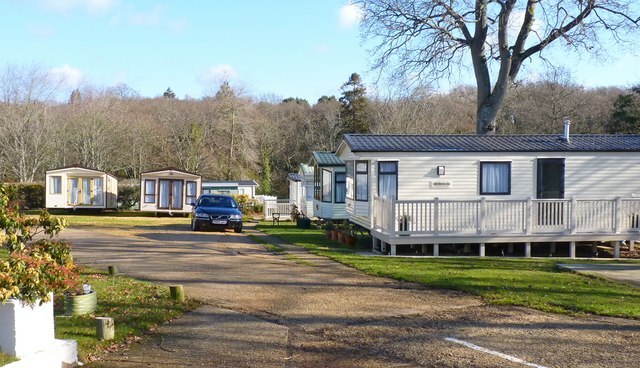 You may be included among the band of investors who are perfectly content to invest in various types of real estate opportunities but draw the line at mobile home parks as something your would consider getting involved in. If you are looking for excellent tenant consistency, a high level of demand for your properties and a high capitalization rate that often beats the brick-built mainstream alternative, then you should at least consider the idea of casting aside your preconceived ideas about mobile home parks, as there is definitely money to be made. The elephant in the room that needs to be spoken about in order to be able to discuss the opportunity sensibly is that mobile home parks are generally viewed as a place where the lower classes and criminal elements of society are likely to be found. That perceived demographic and reputation is not entirely unfair and people renting trailers on many of the parks are more likely to be low-income or of a lower social class than you are going to find in some of the leafy suburbs in and around major cities in the states. The impression gained by a number of investors that mobile home parks are a hotbed of crime and drug activity and the occupants are highly transient, will no doubt dissuade plenty of people to look elsewhere for real estate investment opportunities, but the facts and figures tell a different story in reality. Every class of person has to live somewhere for a start and the idea that tenants come and go and frequent intervals, creating a nightmare of unpaid rents and empty properties, just doesn’t stack up when you look at the actual facts and figures. There is a fundamental difference between a trailer park and a mobile home park and the people on each type of site behave very differently from each other. A trailer park is a scenario where a tenant could hook up their trailer and simply drive off into the night almost as and when they please, which would present a problem if they owed rent and other bills. Residents in a mobile home park and living in a mobile home are in fact most of the time, anything but mobile. A more accurate description of a mobile home would be to call it a manufactured home and it is important as an investor to appreciate that this housing is built in a factory, delivered to the site, and rarely if ever moves from that location for the rest of its usable life. It costs somewhere in the region of $3,000 to move one of these mobile homes, which is a huge amount of money to find for someone on a limited and low income. This is the primary reason why these tenants are far more likely to agree to a rise of between ten and twenty percent in their rent every few years than contemplate the idea of moving their home to another location, or moving at all. Tenants on mobile home parks on average stay far longer than any tenant in private housing stock and they know that there are other people who would take their place if they had the chance, so they pay and stay, which is just what you want to hear as a landlord. Half of the working U.S population earn less than $30,000 annually and many of them are in the sub $20,000 bracket. This means that the demand for affordable housing is almost guaranteed to stay high for the foreseeable future and that can only be good news for mobile home park owners, who will continue to enjoy full parks and regular income. The bottom line is a critical aspect of any investment proposition and you can measure the merit of an opportunity by calculating the capitalization rate. This is a figure expressed as a percentage which you can calculate by dividing the current value of your rental property by the annual rental income you receive, less any expenses you have incurred. The average private sector landlord can hope to achieve a cap rate of about 6% after deducting costs such as maintenance and repairs, insurance and property taxes. If you are the landlord of a mobile home park but not the owner of the actual homes on it, you will have fewer expenses to worry about and this can push the cap rate up to about 10% annually, so you can enjoy a better return on your money if you are prepared to look at this sector. You could easily get into a complicated debate about the current state of the U.S economy and what effect the economic outlook will have on your mobile home park investment, but the odds favor the argument that it doesn’t really matter what state the economy is in. According to census figures, there will be at least 74 million citizens over the age of 75 within the next fifteen years and a fair number of these people will have minimal savings and live on a fixed income. When you consider that the average rent in the private housing sector is way beyond the $500 to $600 housing budget that many of this sector of the population will have at their disposal, they are going to have to make choice between a low-rent apartment or a much larger mobile home for the same money. Which one would you choose? Even a booming economy is not going to make a difference to these readymade tenants who are on a fixed income and need to find somewhere to live that gives them the best standard and size of accommodation they can afford for their money available. It would be easy to look at the average rent being paid by mobile home tenants of about $300 per month and conclude that there won’t be enough margin in these figures to turn a decent profit each year. The facts say otherwise and owners of mobile home parks are consistently making good money at rents this low. The typical expense ratio for a mobile home park is in the region of between 30% and no more than 40% of your gross revenue. The reason you can achieve such good returns is primarily because as a mobile home park owner, you are renting land and therefore do not have the expense of capital improvements that a housing landlord faces. Mobile home parks should be viewed as an affordable housing solution and delivers a stable tenant base for regular income. Looking at the demographics and financial performance of this sector, it is not difficult to come to the conclusion that becoming an owner or investing in one of these parks can be considered a reasonable investment opportunity.